The Powers: Christmas at the In-Laws!!! 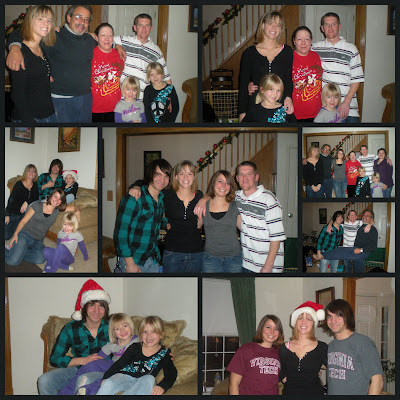 It was a Perfect Time to have a Family Photo Moment .. so We took Advantage!! For those that aren't sure who everyone is.. The Plaid shirt is Wesley , Bonnie is in the black shirt, and Danielle is in the Grey shirt .... The rest of us you should be able to Recognize.. well I hope so anyways!